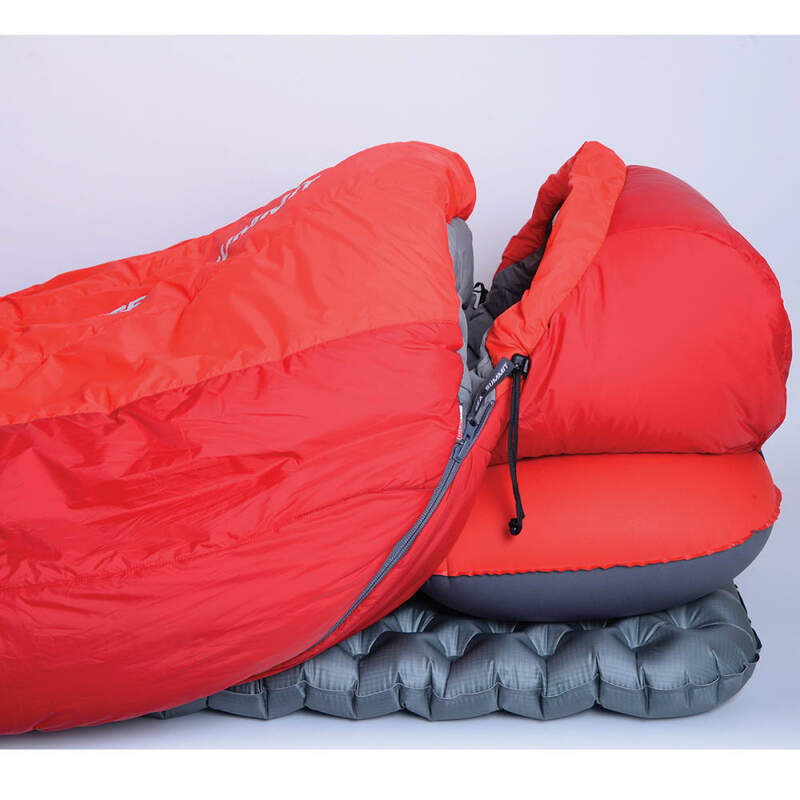 Sea to Summit’s generously sized Basecamp sleeping bag range is also available in a non-down option. Two THERMOLITE® models may be the best choice when affordability is a primary concern, and when easy care is an issue – for instance, for camping in desert or sandy riverbank environments. 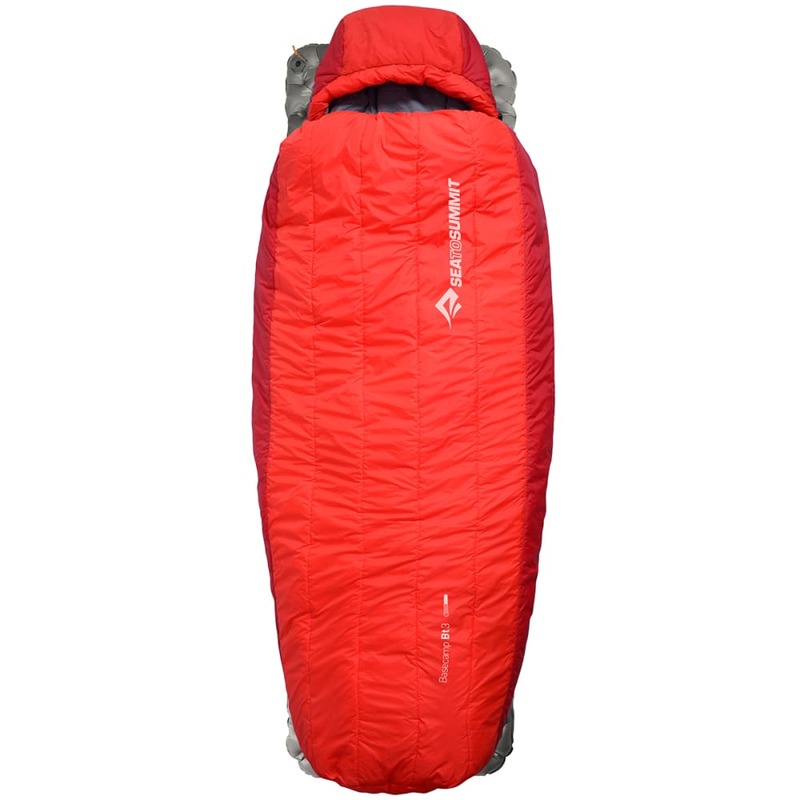 The same spacious, flexible design as the down BC versions are insulated with high-quality THERMOLITE® fiber, built into the bags using a unique WAVE LOFT™ construction. The inner fabric – an artificial “silk” made of polyester – has to be experienced to be believed. The BT3 has an EN rating of 18F / -8C (lower limit). The Basecamp models have been designed to work with Sea to Summit’s sleeping mats and Aeros pillows to create a truly comprehensive sleep system. Slide your mat into the small pocket at the foot of the bag and then use the strap and loop setup to secure the upper section. Then, inflate your Aeros Pillow to the perfect pressure before securing it into place with the elastic strap. Weighs 4 lbs., 3 oz. Max. User Height: 6 ft. to 6 ft., 5 in. Fill Weight: 2 lbs., 4 oz.